We’re gearing up for a great time next month at Palm Springs Modernism Week which kicks off on February 11 and continues through February 21 with eleven days and ten nights of cocktail parties, exhibitions, lectures, films, expos, home tours, and much more. We’ve loved attending in past years (who doesn’t enjoy a great excuse to get out of the cold and spend a few days in the warmth and sunshine of the desert). This year, we’re excited to be a Modernism Week partner and will be presenting a program at their CAMP venue. 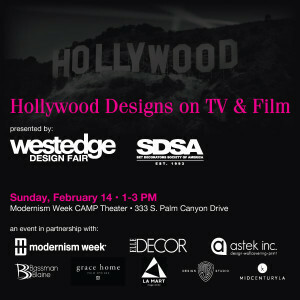 We’ve teamed up with the Set Decorators Society of America (SDSA) to host a “Hollywood Designs on TV & Film” panel discussion, followed by a champagne reception and book signing on February 14 from 1-3 PM. Jeannine Oppewall, production designer of Academy Award® nominated films including LA Confidential and The Good Shepherd and Ellen Brill SDSA, set decorator of Emmy Award® nominated TV shows including American Horror Story and Nip/Tuck, will participate in a conversation moderated by author Cathy Whitlock. This talk will reveal key influences, anecdotes and inspirations as well as explore Hollywood’s continuing contributions to modern style. A champagne reception and book signing of Cathy Whitlock’s Designs On Film, will immediately follow the panel in the ELLE DECOR Lounge, giving attendees a meet and greet opportunity with the panelists. Tickets are now on sale ($20/ticket) at the Modernism Week website. Take a look there for additional event details, along with lots of other event listings to help make the most of your Modernism Week itinerary. A big thank you to our event sponsors: Astek Wallcovering, Bassman Blaine, Grace Home, LA Mart, Warner Bros Design Studio and MidCentury LA. 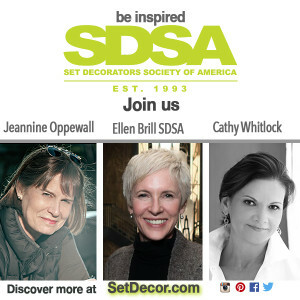 And be sure to follow the SDSA on Facebook, Twitter @SETDECOROnline, Pinterest www.pinterest.com/setdecor, and Instagram @setdecorators_sdsa. 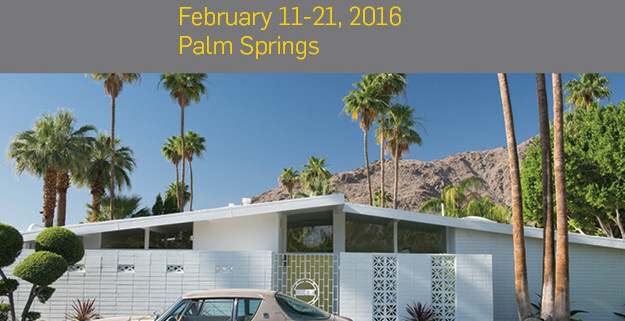 Share the post "Join Us at Modernism Week in Palm Springs"